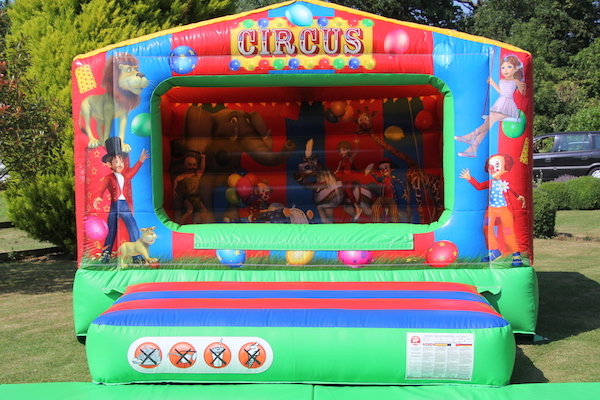 This magnificent circus themed bouncer is perfect for up to 5 years of age. 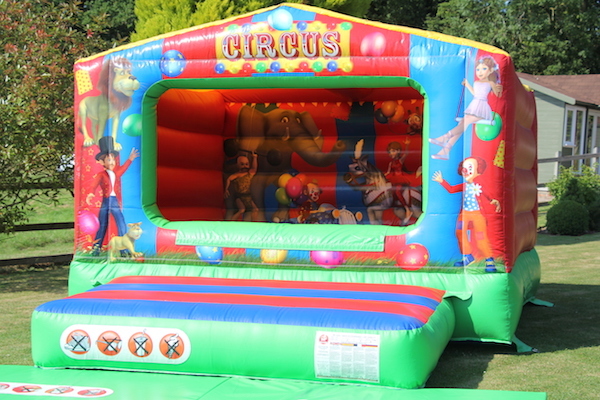 Due to its low roof at only 7.5ft, this castle is an ideal choice where the headroom is limited. 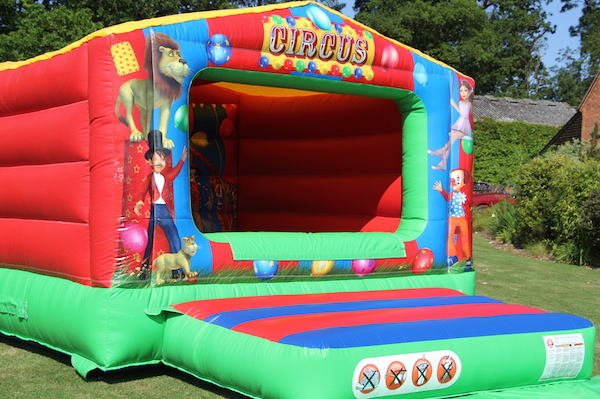 This children’s bouncy castle is suitable for outdoor and indoor bookings. 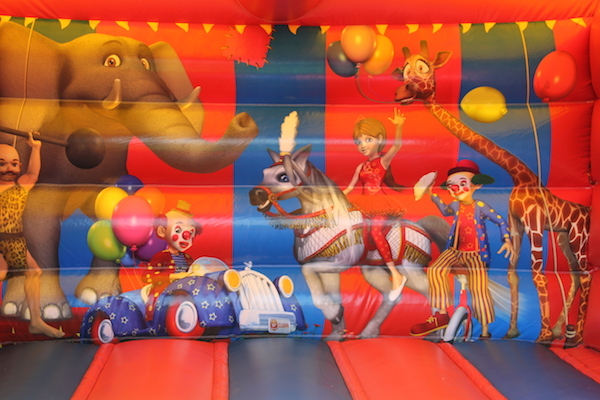 If your party is held indoors you will have the free use of our great Plasma Cars . 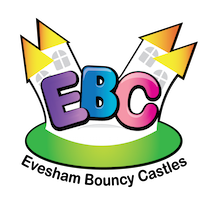 Call if you would like advice on which village hall or venue to book as we have a wealth of experience hiring bouncy castles in and around the Evesham and Worcestershire area for many years. Circus Show Bouncer is available to hire for parties, school fetes and family fun days etc throughout Evesham, Worcestershire, Herefordshire, Gloucestershire, Warwickshire and The Midlands.